As a College, we offer discounted rates across our subscription categories for retired doctors who wish to maintain their support for our work and their interest in medicine. 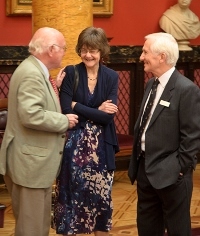 Recognising that many doctors like to keep up some of their professional interests and contacts when they retire, the College supports a very active Senior Fellows Club with over 200 members. Browse the Senior Fellow club pages for further details.